Affordable Fun: Taking Advantage of Nonalcoholic "Happy Hour"
Saving a few pennies here and there can be difficult in college because there’s always something going on! It’s no wonder “Happy Hour” promotions are a college-crowd favorite. However, there are two problems with “Happy Hour”: 1) Not all your friends are 21, and 2) Typical “Happy Hour’s” can get repetitive after a while, and sometimes you just want a tasty nonalcoholic treat for cheap. If that sounds like you, here are two tasty alternatives. Fast food restaurant Sonic participates in “Happy Hour” every day from 2-4 p.m. You can get your favorite slushies and milkshakes for half price during these hours. For those of you near a Steak ‘n Shake, it has a “Happy Hour” from 2-4 p.m., as well as 2-4 a.m. for those late-night cravings. 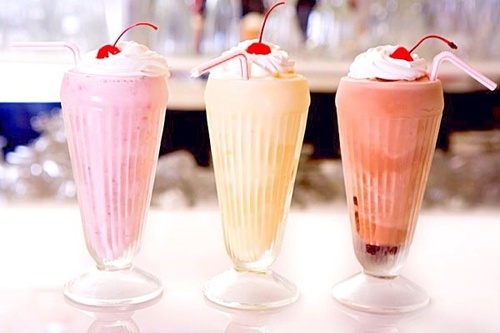 As of now, these are the only well-known fast food places that are serving up milkshakes and/or slushies for half price throughout the week, but check your local family restaurants, too. As for those who prefer to indulge in a regular “Happy Hour,” check out local restaurants to see what time and days they have theirs. Most begin at 4 p.m. and end around 8 p.m. So, the next time you are having a craving for your favorite beverage, try to hold off until the proper hours, and then hang onto some of your cash while satisfying that craving. You’ll be so much happier -- they don’t call it “Happy Hour” for no reason! Love this!! I don't drink so this is great!! !